“What are our cybersecurity protocols?” This question is one that has, undoubtedly, been top of mind for CTOs at numerous corporations and government agencies around the world in the wake of recent ransomware attacks. Given the hundreds of thousands of endpoint devices in more than 150 countries that were infected in the latest global attack, WannaCry, can you blame them? Cybersecurity stock buying trends are on the rise. According to CNN Money, the PureFunds ISE Cyber Security ETF (HACK), which owns shares in most of the big security companies, was up more than 3 percent in early trading the Monday following the first WannaCry attacks. Positive performance in cybersecurity stocks comes as no surprise as organizations shore up their defenses in preparation for future attacks—big or small. This is the security climate in which we live. While the numbers have been rising on both fronts, do the affected organizations truly understand what to look for when addressing cybersecurity? Where should the protection start? What obstacles might organizations need to overcome? How can they be better prepared? 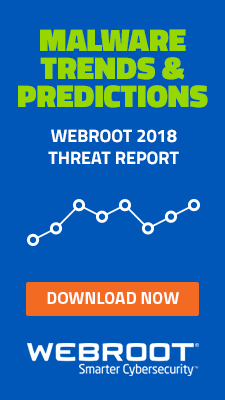 Hal Lonas, chief technology officer at Webroot, takes us beyond the sobering wake-up call that attacks like WannaCry bring, and discusses actionable advice companies should consider when fortifying systems against cybercriminals. Where should an organization start when thinking about combating malicious files entering the network? Organizations should think about their security in terms of layers. Between the user sitting in the chair and the sites and services they access from their workstations, every level of security is equally important. The vehicles malicious files use to infiltrate the network shouldn’t be ignored either. Is it a URL? Is it a USB key that’s physically carried into the office? Or maybe it’s an employee who takes their laptop home and uses it on an unsecured network—the possibilities are endless. We’re in a very interesting era in which mobility has become the norm, there are more internet-connected devices than ever, and there are more angles every day for cybercriminals to launch attacks. Essentially, the perimeter is dissolving. That means organizations need to rethink how they approach protecting their networks. We’ve heard the term “dissolving” a number of times recently when talking about the traditional notion of the network. Can you speak more on that? Let’s use my phone as an example. Right now, it’s connected to the secure employee wireless in this office. 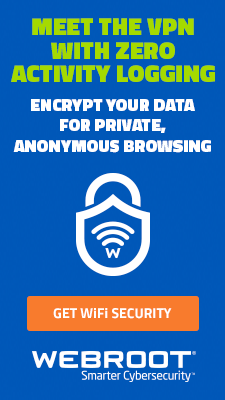 When I hit the coffee shop later for a meeting, it might be on their public Wi-Fi. While I’m driving to the airport this afternoon, it’ll be on a cellular network. By tonight, it’ll be on the guest Wi-Fi in a hotel. With each movement and interaction, perimeters converge and overlap, and this phone is exposed to different levels of security across a variety of networks. Each step means I’m carrying data that could be exposed, or even malware that could be spread, between those different networks. These days, company work happens everywhere, not just on a corporate computer within the security of an organization’s firewall. 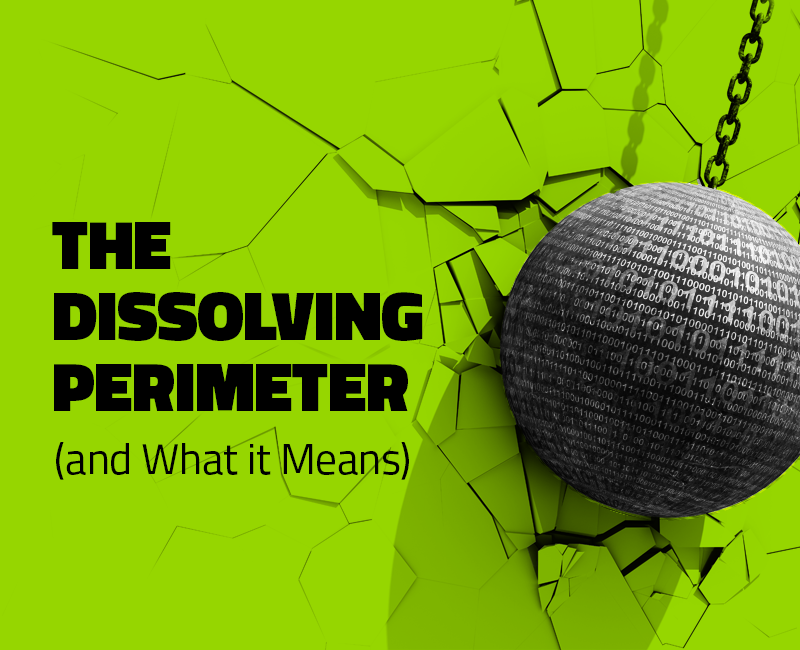 That’s what we mean by dissolving perimeters. We’re in a very interesting era in which mobility has become the norm, there are more internet-connected devices than ever, and there are more angles every day for cybercriminals to launch attacks. One line of defense is endpoint protection. Whether you’re using a mobile device or laptop, that protection goes with the device everywhere. Even as you switch between networks, you know that’s one layer of protection that’s always present. Network or DNS-level security is also key, to help stop threats before they even make it as far as the endpoint. 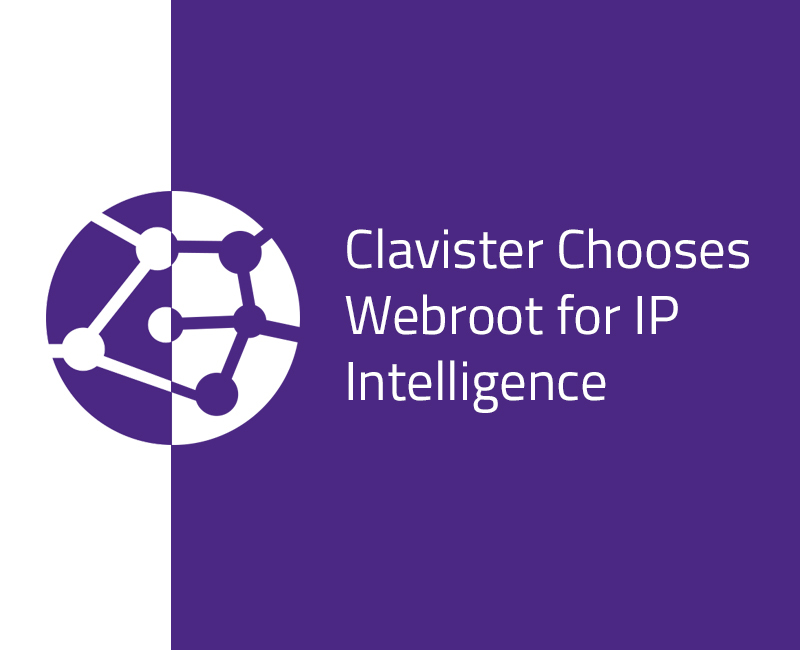 How does Webroot BrightCloud® Streaming Malware Detection fit into the layered approach? Is it cutting edge in terms of protecting against malicious files at the perimeter? Streaming Malware Detection is pushing the boundaries of network protection. As files stream through network devices—i.e., as they’re in the process of being downloaded in real time—Streaming Malware Detection determines whether the files are good or bad at the network level. That means the solution can analyze files in transit to stop threats before they ever land on the endpoint at all. 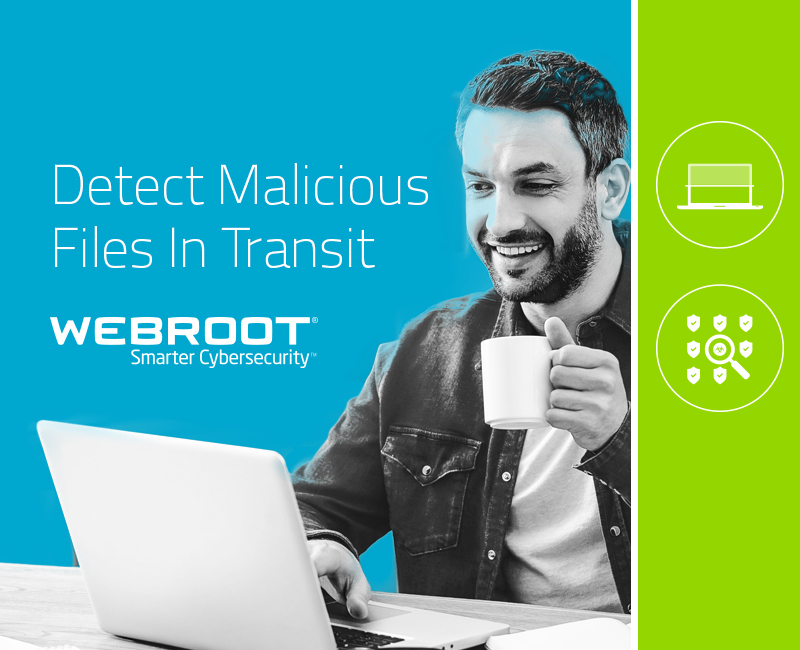 We partner with the industry’s top network vendors, who have integrated this and other Webroot technologies as part of their overall approach to stopping malicious files at the perimeter. 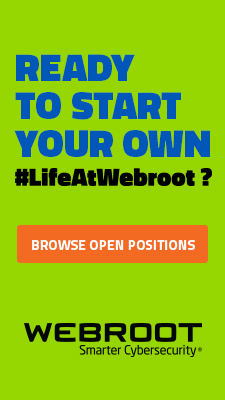 In terms of what we’re doing with Webroot products, we’re expanding the levels in which you can be protected—looking at more and more different aspects of where we can protect you. 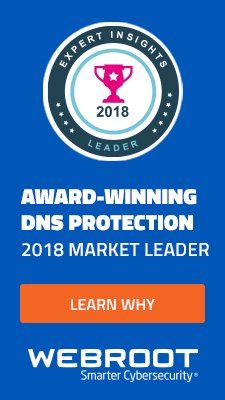 We’re tightening the reigns from endpoint protection, which we’ve traditionally done extremely well, and branching further into the network with Streaming Malware Detection, as well as network anomaly detection with FlowScape® Analytics. We aim to bring value to our customers by protecting holistically. We’re adapting as a company with our product offerings to this new reality we find ourselves in. 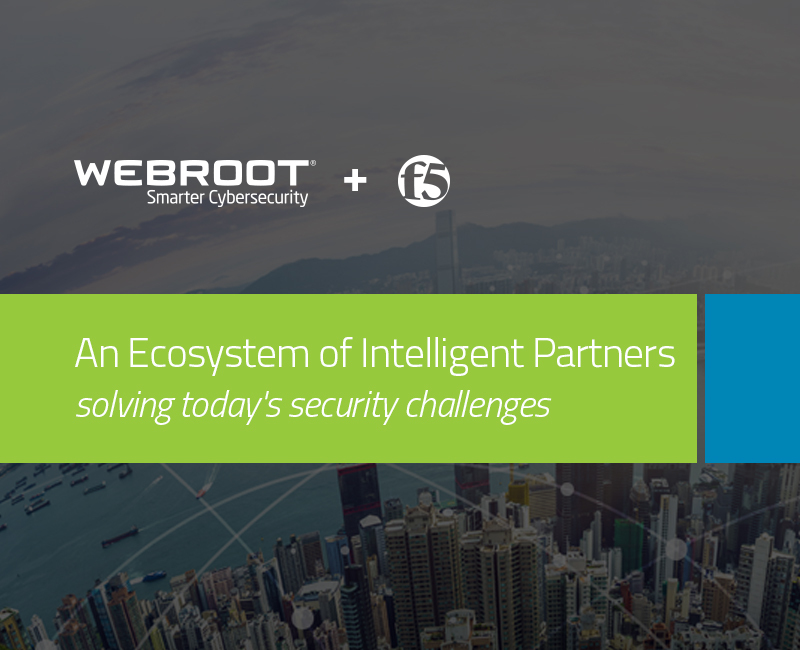 What cutting edge approaches is Webroot taking to combat what has already infiltrated the network? We hear a lot about advanced persistent threats. The reality is that those long-resting, largely undetected threats do make their way through and land in an environment with the intention of wreaking havoc, but doing it low and slow to avoid detection. The malware authors are very smart, which is something we try to anticipate. 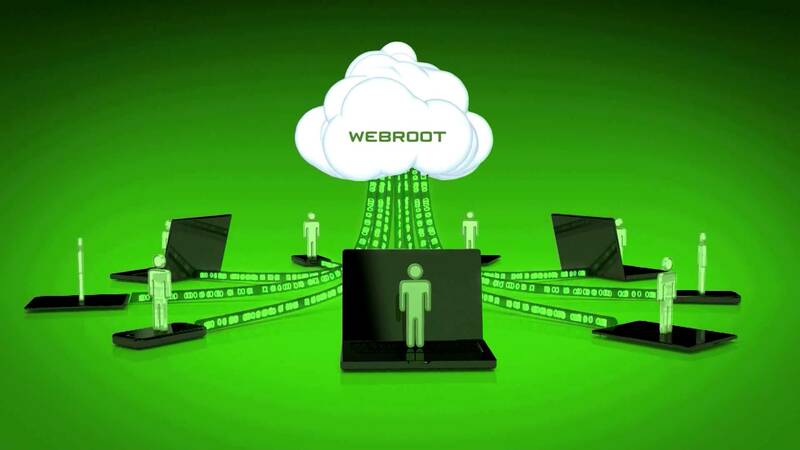 Webroot is really good at a couple of different things, not least of which is that we’re incredibly patient on our endpoint products. Essentially, we’ll monitor something that’s unknown for however long it takes, journaling its behavior until we’re absolutely sure it’s malicious or not, and then handling it appropriately. In addition, we’ve recently added a product that does the independent network anomaly detection I mentioned earlier: FlowScape Analytics. Essentially, it analyzes day-to-day activity within a network to establish a baseline, then if something malicious or abnormal happens, FlowScape Analytics instantly recognizes it and alerts us so that we can track it down. In conjunction with our other layers of protection, it’s a solid cybersecurity combination. What technology do you see helping to protect networks at the same scale and velocity threats are coming? Streaming Malware Detection is a big one. Traditionally, malware has been sent into a sandbox where it has to execute and takes up resources. The sandbox also has to simulate customer environments. This approach comes with a lot of complexities and ends up wasting time for customers and users while awaiting a response. For scalability, analyzing the malicious files in transit at network speed frees up time and resources. Is there anything else organizations should take into consideration? Machine learning at the endpoint level? We’re always asking ourselves, “where’s the right juncture to layer in more security?” I’d like to see more organizations asking the same. You can look at our history, during which we developed a lightweight agent by moving the heavy lifting to the cloud, and that’s the theme we’ll continue to follow. The detection elements of machine learning can fit on our client, but we’ll do the computing-intensive and crowd protection work for machine learning in the cloud. That gives you the best efficacy, shares threat discoveries with all of our products and services in real time, and keeps devices running at optimal levels.